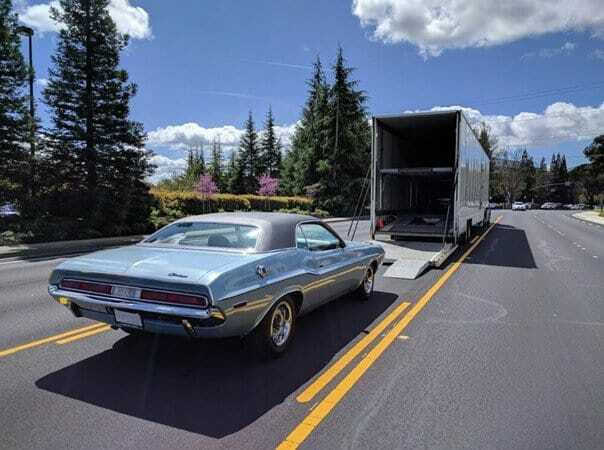 Open vs Enclosed Auto Transport: What's the Difference? It’s good to have choices. When it comes to auto transport, you have many service types. Two you’ve probably heard of are a open car shipping and enclosed auto transport. Generally speaking, the difference between open and enclosed service includes vehicle protection, transit times, service costs, and insurance coverage. Let’s take a closer look at each service type to see how they’re alike, how they differ, and how you can choose the type of service that meets your needs. An enclosed auto transport protects your vehicle during transport against the same weather and road elements you would be faced with if you were driving the vehicle to its destination. These include rain, sun, dust, tar, bugs, debris and others. Enclosed carriers are made up of boxed enclosures that surround your vehicle typically with solid or curtain walls. There are few reasons to opt for enclosed auto transport, but the most significant reason is to maintain pristine condition of your vehicle. Transit times are generally faster. Insurance coverage is $250,000 per vehicle. Non stack carriers are available. For more enclosed specifics, read our enclosed auto transport page. 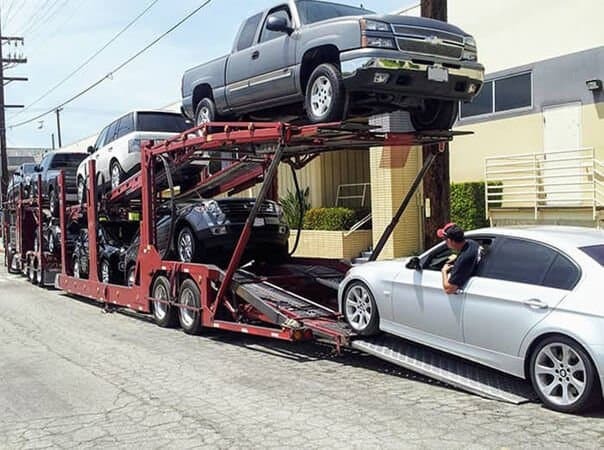 Open car shipping is the standard service type for auto transport. As the name suggest, vehicles travel uncovered to weather and road conditions during transport. Your vehicle is exposed to the same elements you encounter while driving, such as sun, snow, dust, debris and others. Open car shipping is the more inexpensive service type. Insurance covers up to $75,000 per vehicle. 80-90% of autos are shipped via open car carriers. For a more detailed definition, visit our open car shipping page. The number one reason why clients opt to go with the enclosed carrier vs open carrier is for vehicle protection. Carriers are covered and the risk of damage to vehicles is practically eliminated. Unlike the open carrier, vehicles are not exposed to any elements of the weather and the road such as rain, dust, hail, road debris, sun etc. In addition, enclosed car carriers carry a minimum of $250,000 and up to $1,000,000 of coverage insurance while the open car carriers carry only a minimum of $100,000. Due to the limited amount of carriers offering enclosed service and the demand for the service, transporting vehicles enclosed is a bit more costly. On average, enclosed car carriers cost approximately $300-$1,000 more than the open car carriers. The extra cost is also attributed to the operating of the carriers. Since the enclosed auto carriers are the best available in the industry they are also more expensive to operate, service and maintain. Enclosed car carriers are smaller and limited in space. Normally a covered carrier is only able to accommodate 2-7 vehicles compared to the open carrier which can handle sometimes up to 10 vehicles. This means that an enclosed carrier will have less vehicles to pickup, less vehicles to deliver and faster delivery times. Contrary to open carriers, most enclosed carriers are equipped with either lift gates or low profile ramps. Enclosed carriers are able to handle any low clearance vehicle with a clearance as low as 1″ without damaging the bottom while loading and unloading. Nationwide United Auto Transport wants you to feel confident no matter what option you decide to go with. With over 15 years of experience in the auto transport industry, we’ve transported thousands of vehicles via enclosed and open carriers. If the extra cost is not an issue, then we suggest to transport your vehicle enclosed. Either way, have peace of mind knowing that you have a reliable auto shipping company taking care of your vehicle’s move.